Moving home is a fantastic experience, you are going to have new surroundings and lots of new stuff to take in. However sometimes squabbles and accidents are inevitable, maybe you left your favourite childhood toy that you’ve had from birth in the loft – and that’s upsetting. So we’ve devised a moving home checklist to remind you on all of the tasks that need doing before you move out. What Is A Moving Home Checklist? 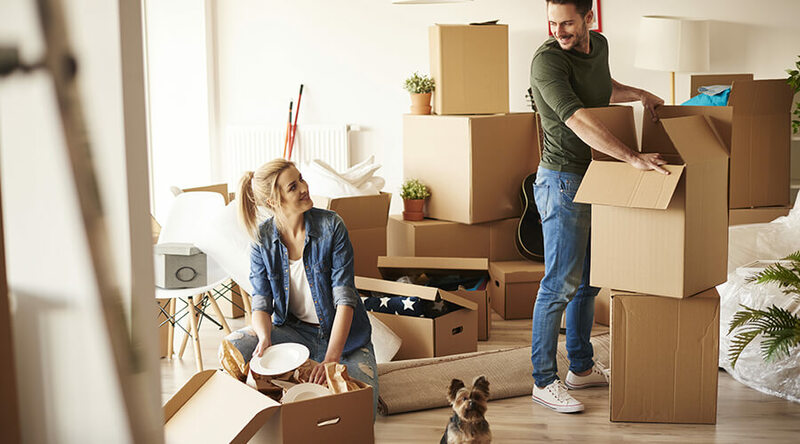 Just like any other checklist, this one is almost like a set of steps or tasks that you need to carry out before you can officially move out – and to keep things running smoothly with no arguments. So if you want to make moving house a breeze, then keep reading! Although three months may seem slightly early to start preparing, it’s better to be safe than sorry! So begin by doing the things that may take a slightly longer time. You will need to book time off work to be able to transfer all of your belongings; there are lots of stuff that needs to be done when moving house, so you want to book time off work to ensure that you have enough time to do everything. You do not necessarily need to book 2 weeks off work but just a couple of days to get you and your family moved over and settled in. You cannot move without cardboard boxes; you can order moving cardboard boxes online for reasonable prices to pack up all of your belongings. If you have a lot of junk in your loft or garage, then you may want to consider using a few of these to pack all of your belongings. If you are moving far away or to a completely new area, then you may have to rethink your children’s schooling or your work. You should ask your company if you can work from home or look for a new job if you don’t already have a job, if long distance then you may want to consider public transport. If your children are younger, you should look for local schools and enrol them if their old school isn’t within a certain distance. All those trinkets and belongings gathering dust in your loft and garage are going to finally see the light of day, everyone is guilty of hoarding, but moving house is the perfect opportunity to lose some junk. Keep hold of your heirlooms and your childhood toys etc, but does that ancient TV from 2004 really need to be still sitting in your garage? When organising your removals London, you may need to do a lot of research to see what is the right company for you. It depends on experience and the areas they cover. You may want to check that both of these are still valid or you may not be covered if anything was to happen. Keep connected with no problems by sorting this problem early, broadband and telephone companies can be booked for weeks so you should give a few weeks notice to ensure that you aren’t without internet or a house/work phone for long. Energy bills can be costly so make sure you do your research a few weeks before moving in so that you can find the most reasonably priced tariff that works best for you. The perks of joining a new energy tariff are that energy companies often offer freebies when you join, if you are struggling with your energy bills then you might want to check out how you can save money and reduce energy bills. You could end up with problems if you do not update your address on things like your TV license and other bills, you have more of a chance of becoming the victim of fraud if your bank statements and bills continue to arrive at your old address. Your passport and documents such as your driving license should be updated; this can be done online or at the post office. If you fail to do this within a few years, then your license or passport will be void and not useable. Any subscriptions to magazines or the window cleaner, you need to let them know that you are moving house and provide them with your new address. Then none of your subscriptions will be delivered to an old address, and the window cleaner will show up to the correct home. An extended spring clean needs to be put into place around this time when moving house, the last thing you want is to have potential buyers visiting a dirty house. If you need specialised cleaning products, such as for wooding flooring, then you should use these for the best results possible. Clean every corner of your home – even try and make the loft and garage look appealing, if your home has any physical damage then contact your builders Newport Pagnell and have them repaired. This is really important so make sure you do this! Strip all your bedrooms bedding and make sure they are packed up ready to be transferred to your new home. The last thing you want is to be locked out of your new home while someone is in the process of moving into your old property, make sure you’ve collected your keys or have agreed a time to pick them up! You might want to note these down and keep the readings in a safe place for future reference. Check that all of your windows are securely shut, and if they have, locks make sure that you have all of the keys and know where they are. You should have also located your property mains and ensured that both the water and gas is turned off. Once all of your furniture has been unloaded, make sure that you check for any damages. Enjoy your new home! All the hard work is officially over, and now you and your family can take some time to relax and adjust to the new setting. During this time you may want to meet with our new neighbours and if you have any young children or pets then introduce them to their new settings. So there you have the ultimate moving house checklist to make moving house run smoothly and argument free, need building work done on your new home? Our qualified, experienced builders offer home conversions Woburn Sands that are perfect for new homes! We hope this article was helpful – and if it was then share with someone you know moving house soon!